Back in April 2015, I celebrated passing 50,000 submissions in the Clarkesworld Submissions System, by blogging about the most common story titles. 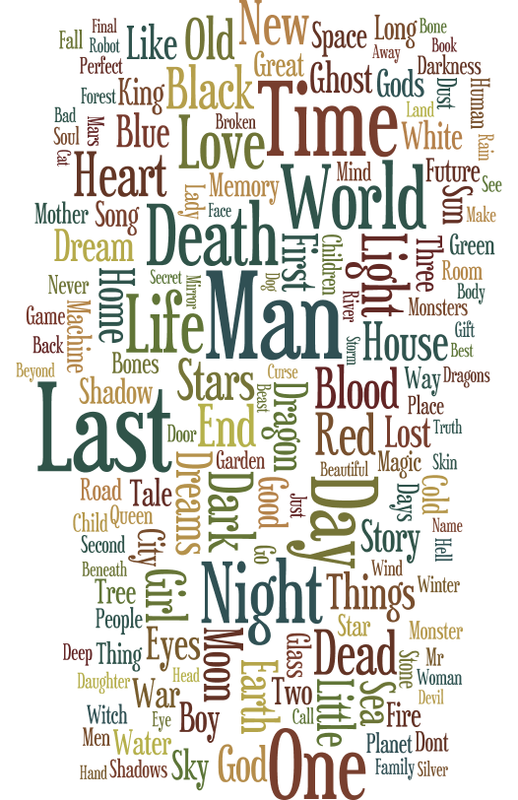 In response, I also blogged about The Truth About Short Story Titles and a Wordle that represented the most frequently used words in all 50,000 titles. Since then, we’ve picked up nearly 32,000 more submissions, so I decided to take another look at the data and see how things have changed. There were many ties in this group, so this time I’ve only listed the top six places. If a title is followed by a number in parentheses, that’s its top ten placement from the first 50,000. It is mentioned in one of the above links, but it bears repeating: The title of a story has no impact on whether or not it will be accepted at Clarkesworld. If I really don’t like a title, I’ll suggest a new one/work on it with the author.